Our SCM staff team are always available to book to run a session with your group. 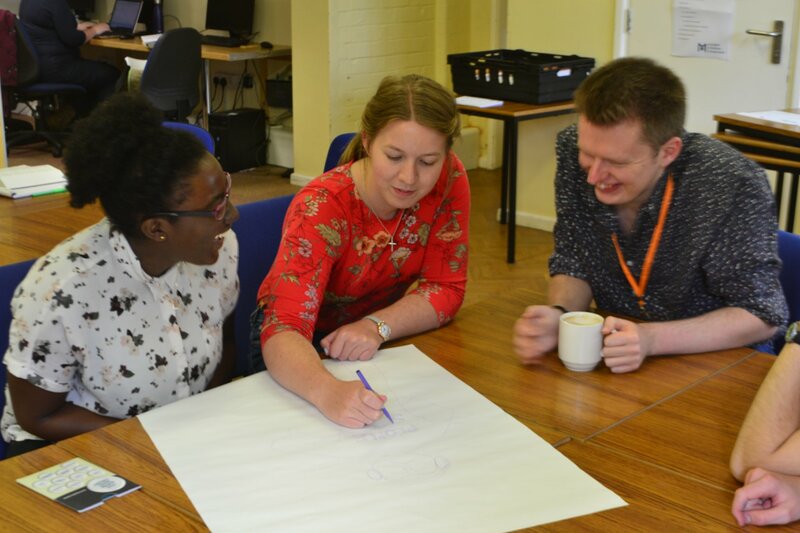 If your SCM community, chaplaincy, or church group would like to explore some Faith in Action ideas together, we can send your local Regional Development Worker to run workshops on any of these themes. If you'd like a workshop on any other topics just let us know - we're always looking for inspiration! If you'd like to book a workshop, you can do so by clicking the button below! What has Christian political resistance looked like throughout history, and what tools do we need to resist injustice today? This workshop explores what resistance means to us, where we can find inspiration in the life of Jesus, and how we can prepare to resist injustice in our own soociety. How do we live alongside people we disagree with? In times of increasing division and echo-chambers, this workshop looks at how we can engage with those who differ from us in their views, whether political, religious, or ethical. It provides tools for fostering fruitful conversations in ways which defuse tensions rather than escalating them, including non-violent communication methods. Faith reflection is an invaluable praxis for discerning the actions our faith calls us to take for justice, which draws on scripture, religious tradition, experience, and analysis. In this simple and accessible workshop, you will learn the basics of faith reflection, and leave with clear goals to work towards in your activism, or even a new campaign to take on with your community. Environmental justice is one issue SCM members are passionate about and have been focusing on in our campaigns. This workshop goes through the basics of climate change and environmental justice, explores what scripture has to say about care for creation, and invites you to take action for the Climate Coalition's 'Show the Love' campaign through some simple craftivism. Keep your eyes peeled as we're always updating our workshops with new content and campaign focuses. If you have suggestions for workshops you'd like to see here, just get in touch! Contact our Faith in Action project worker Emma by clicking here. For workshop outlines you can run with your group, along with devotionals, reflections and bible studies to start discussions, click here.